Please ensure you have read the notes below. 2) I understand the charity will reclaim 25p of tax on every £1 that I give on or after 6 April 2015. 3) If your circumstances change and you are no longer paying income (and/or capital gains) tax equal to the tax the Synagogue reclaims, you can cancel this Declaration (see note 5). 4) Whilst this Declaration is in force, you must notify the Synagogue if you change your name or address. 5) This Declaration form is designed to serve a dual purpose – it will also be used by the Synagogue to confirm back to donors making Oral Declarations (by phone) that the Synagogue may reclaim tax on donations they have made (it will not be necessary to sign and return the ‘confirmation’ form). 6) You are entitled to cancel both Written and Oral Declarations at any time. 7) If you pay tax at the higher rate, you can claim further tax relief in your Self Assessment tax return. 8) I understand that other taxes such as VAT and Council Tax do not qualify. 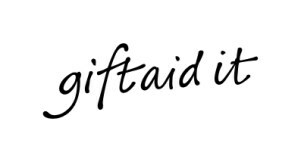 9) If you are unsure whether your donations qualify for Gift Aid tax relief, ask your Synagogue or ask your local tax office for leaflet IR113 Gift Aid.